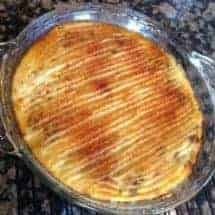 Home » All Recipes » Beef » Low Carb Shepherd’s Pie | Low Carb and Paleo! Low Carb Shepherd’s Pie | Low Carb and Paleo! This Low Carb Shepherd’s Pie is so good you won’t even realize it’s potato free! It’s low carb, paleo and absolutely delicious! My older son has always loved shepherd’s pie. When he was little, he’d sit on the kitchen counter and watch me make it for him. So one day, when he was about 3, I asked him how Mummy made shepherd’s pie. He thought for a bit, and then said “First you catch a shepherd and then you kill him!” Boys. Such ghouls. So I decided to try a paleo, low-carb version, which meant substituting mashed cauliflower for the potatoes. Technically this is a cottage pie, since I used ground beef. LOOKING FOR MORE LOW CARB DINNER OPTIONS? CHECK OUT MY LOW CARB CHICKEN BIRYANI RECIPE! 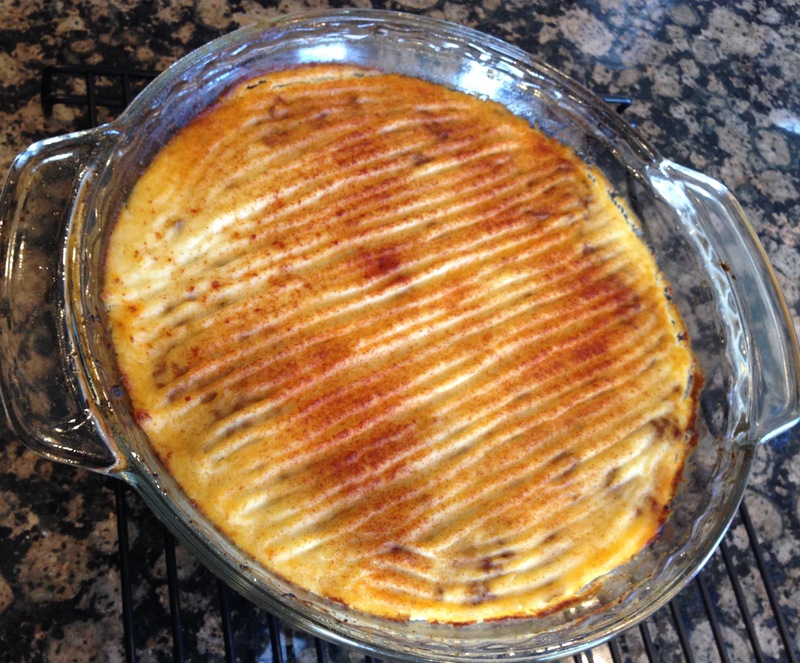 This Low Carb Shepherd's Pie is so good you won't even realize it's potato free! It's low carb, paleo and absolutely delicious! Steam cauliflower in its bag for 5 mins in the microwave. When done, put into bowl of food processor. Include all the water it generated as well. Add coconut oil, salt, and pepper and process until smooth and light. Meanwhile, heat the coconut oil in a pan until hot. Add onions and garlic. Prepare to inhale wonderful aromas and for your spouse, kid, and dog to walk in wondering what smells so good. Add Worcestershire sauce, salt, pepper, & tomato sauce. Beat the egg and mix into the meat mixture. Spread in a pie plate or an 8-inch square pan that has been lightly sprayed. Spread meat in an even mixture. With a light hand, spread the pureed cauliflower. Rake gently with a tine to create peaks and valleys so it looks pretty when browned. Previous Post: « Pumpkin Cheesecake Pudding | Low In Sugar And Fat! Haha! Try it with butter instead of coconut oil if you like. The coconut taste is fairly strong and if you’re not a coconut fan, maybe not so much with the oil thing.